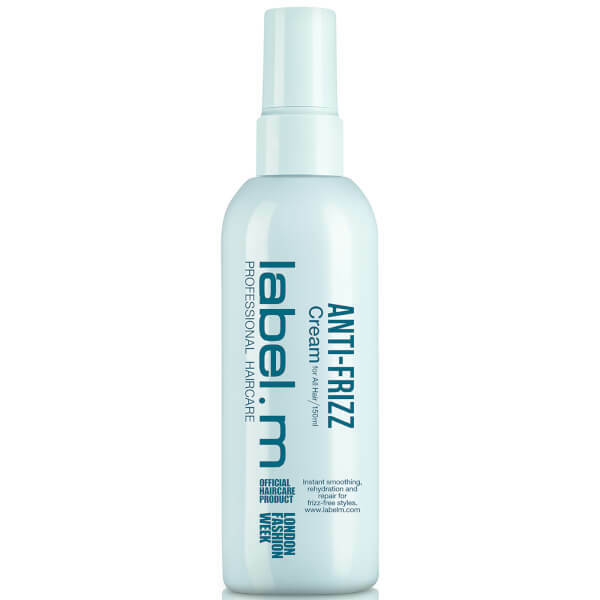 Achieve salon-worthy results from home with label.m Anti-Frizz Cream; a leave-in treatment that delivers moisturising and reparative benefits to promote sleek, smooth strands from root to tip. Fortified with nourishing Baobab and Buriti Oils (rich in vitamins and fatty acids), the detangling formula conditions and hydrates hair, whilst controlling frizz and flyaways for improved manageability. 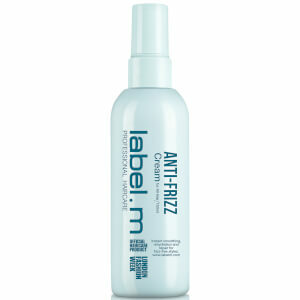 Helps to defend against heat damage and split ends caused by blow-drying and styling tools. Expect stronger, healthier locks with glossy shine. Paraben and sodium chloride free. Apply after shampoo, leave in for 2 minutes and rinse. Aqua (Water/Eau), Cyclohexasiloxane, Cyclopentasiloxane, Cetearyl Alcohol, Stearyl Alcohol, Phenoxyethanol, Behentrimonium Chloride, Dimethicone, Laureth-23, Phenyl Trimethicone, Glyceryl Stearate, Peg-40 Stearate, Ceteareth-20, Amodimethicone, Cetrimonium Chloride, Fragrance/Parfum, Mauritia Flexuosa Fruit Oil, Quaternium-91, Aminopropyl Dimethicone, Cetrimonium Methosulfate, Trideceth-3, Trideceth-15, Adansonia Digitata Seed Oil, Hydrolyzed Adansonia Digitata Seed Extract, Eugenol, Coumarin, Linalool, Limonene, Lactic Acid, Caprylyl Glycol.